It’s turning out to be a bumper season in Australia. 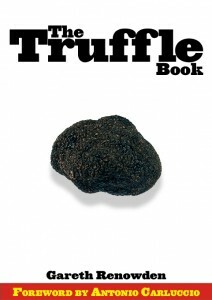 Hot on the heels of New South Wales’ first truffle, and Tim Terry’s reports of a good harvest under way in Tasmania, comes news of a 1kg truffle found at Nick Malajczuk’s Western Australia truffière. The linked article in The Australian claims that it is the “biggest harvested outside France”, and at 1,018.5gm that may be true. Or it may not. In the mid-90’s, when New Zealand’s pioneer grower Alan Hall was hauling big truffles out of the ground, he also found one that weighed over a kilo. Was it more than 18.5gm over the kilo? I can’t remember, but I’ll ask Alan next time I see him. In 1997, I saw several that weighed over 500gm being harvested, and that was impressive enough. Victoria is also getting in on the act, with young trees at Greg Kerr’s Yellingbo property, 60km east of Melbourne producing their first truffles. The Age has the story [registration required], as does the Herald Sun. Meanwhile, The NZ season is progressing nicely. Peg’s been round to a neighbour’s place and found a truffle or two, but she’s not showing any interest round my own trees. I haven’t given up, though. She’ll be sniffing for her supper for a month or so – and there’s the borchi trees to keep a nose on too.